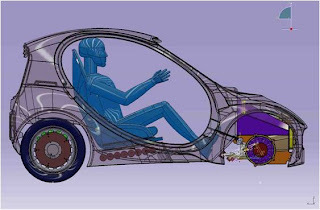 Riversimple has a new car project in the works. Although "open source" cars has been tried before this one is particular interesting since it's based on fuel cell technology. Also; they're planning to produce the car and you can lease it from them as well. If you choose to lease it over 20 (!) years they'll even throw in the fuel for free. As an urban car I think it might be successful, but for longer trips it might have the range, but not the baggage capacity. Article about the project can be found at Autocar.co.uk.